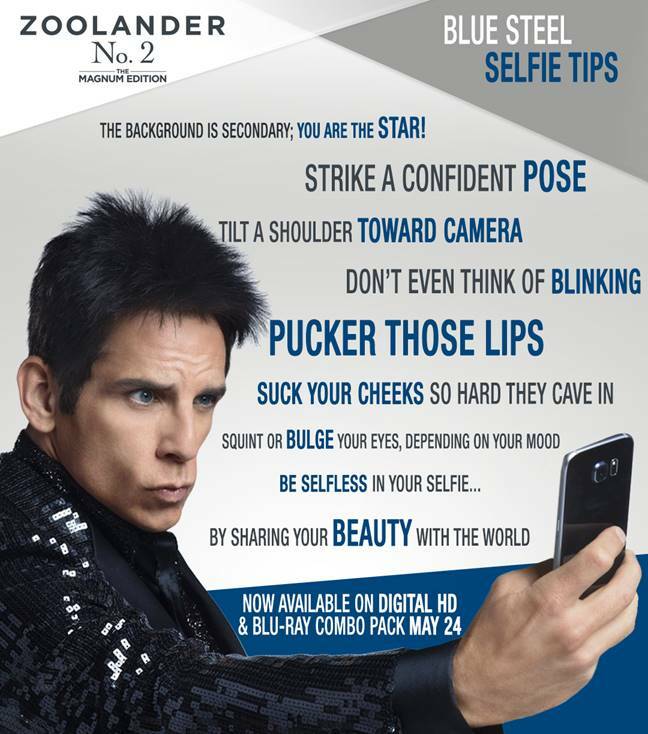 "Zoolander 2" is coming to Blu-ray and DVD on May 24 and it's time to get the best selfie face on. To make it easier to take and post your selfies, Thisfunktional is giving away a Zealander 2 selfie stick selfie stick to two lucky winners. Now let's get into the Zoolander spirit. With those tips in mind post your best selfie on Twitter or Instagram, with hashtags #Thisfunktional and #Zoolander2 (Must have both to enter), and tag @Thisfunktional. Just so I can see your posts and keep track email me at thisfunktional@gmail.com with a screenshot of your posts with the subject line "#Zoolander2 selfie." Disclaimer: Two winners will be chosen. Contest runs to May 22, 2016 at noon PST. Winners will be notified through email by March 22, 2016 at 10 p.m PST with instructions on how to claim your prize. No purchase necessary. Prize provided by H+M Communications. Only open to the U.S., no PO Boxes or international addresses.